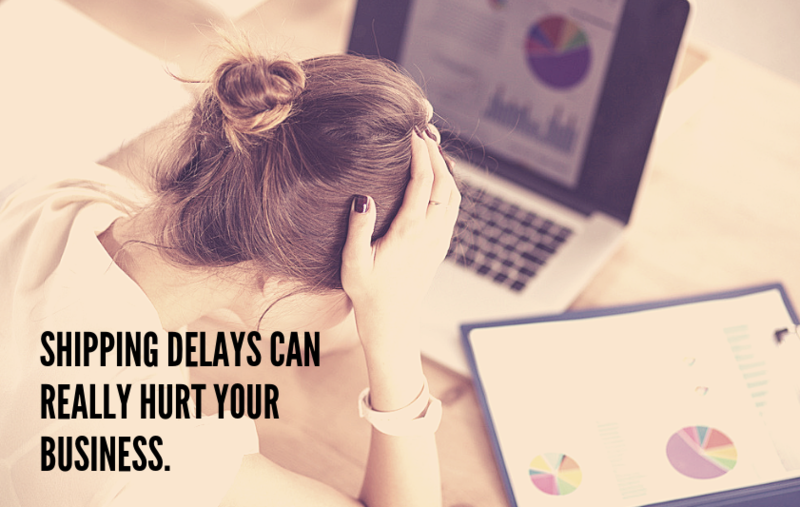 Are delays by your shipping partner getting on your nerves? Are your customers getting mad at you for delayed shipments? Do you feel helpless about a situation that’s way out of your control? The thing is, shipping delays are way more common than carriers like FedEx and UPS would have us believe. 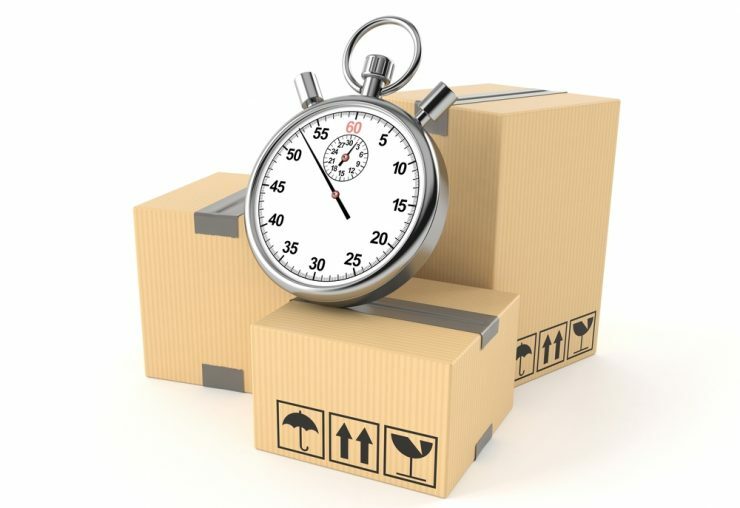 On average, anywhere between 6 and 12% of shipments are usually delayed regardless of carrier. This increase to over 30% during times when service congestion is high. 1 in 5 shipments potentially encounters issues during shipping like delays or wrongly applied surcharges. 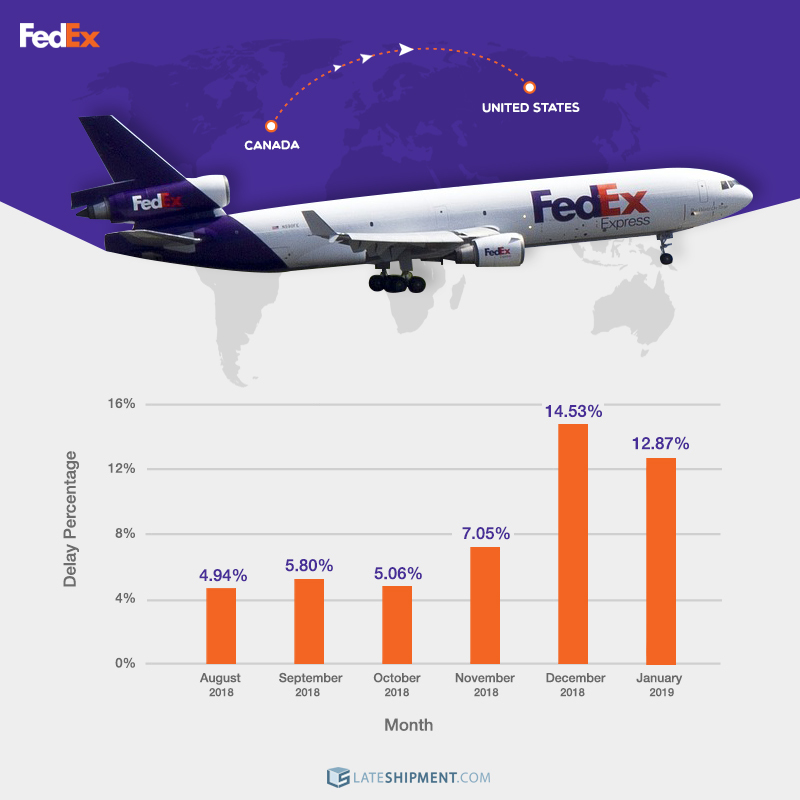 Take a look at these charts for FedEx and UPS shipments between Canada and the US, and you’ll know. 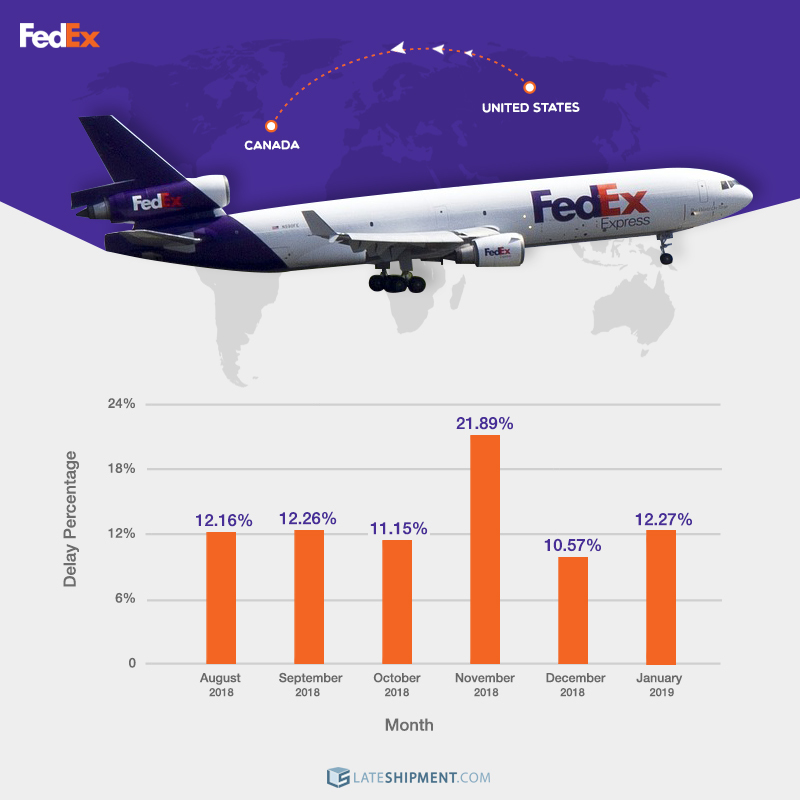 For shipments from Canada to the US between August 2018 and January 2019, both FedEx and UPS under-performed on their claims. During the holiday season months of November and December, FedEx delivered 7.05% and 14.53% of our Canadian customers’ shipments late. The delay rate in January 2019 was 12.87%. 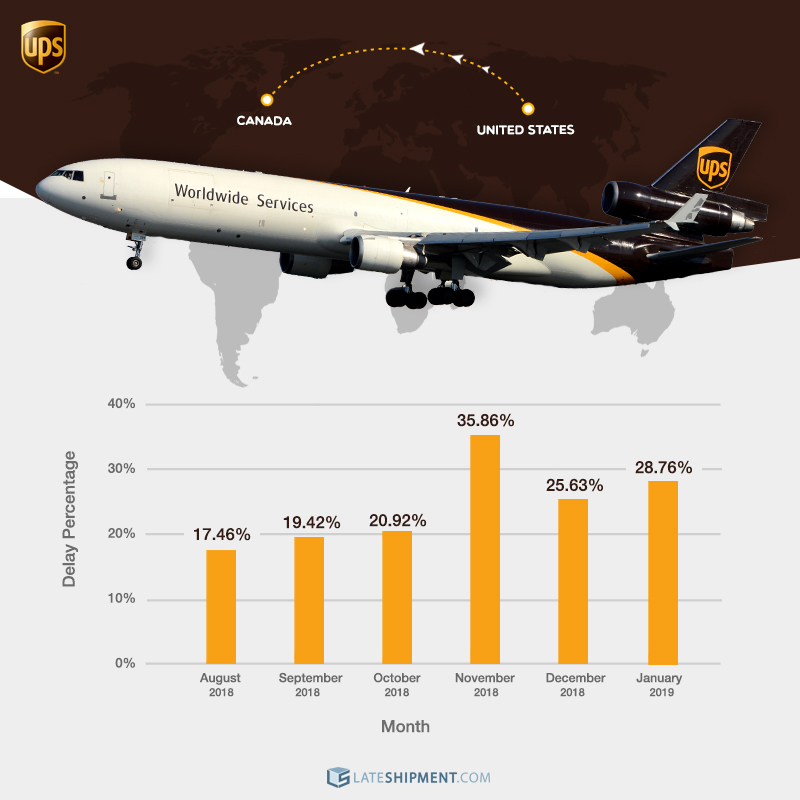 UPS had delay rates of 14.39% and 12.98% for shipments from our Canadian customers in November and December 2018. The rate for January 2019 was 16.16%. Both carriers had worse delay rates for our US customers delivering to Canada. FedEx had a delay rate of 21.89% in November and 10.57% in December. The rate for January 2019 was 12.27%. 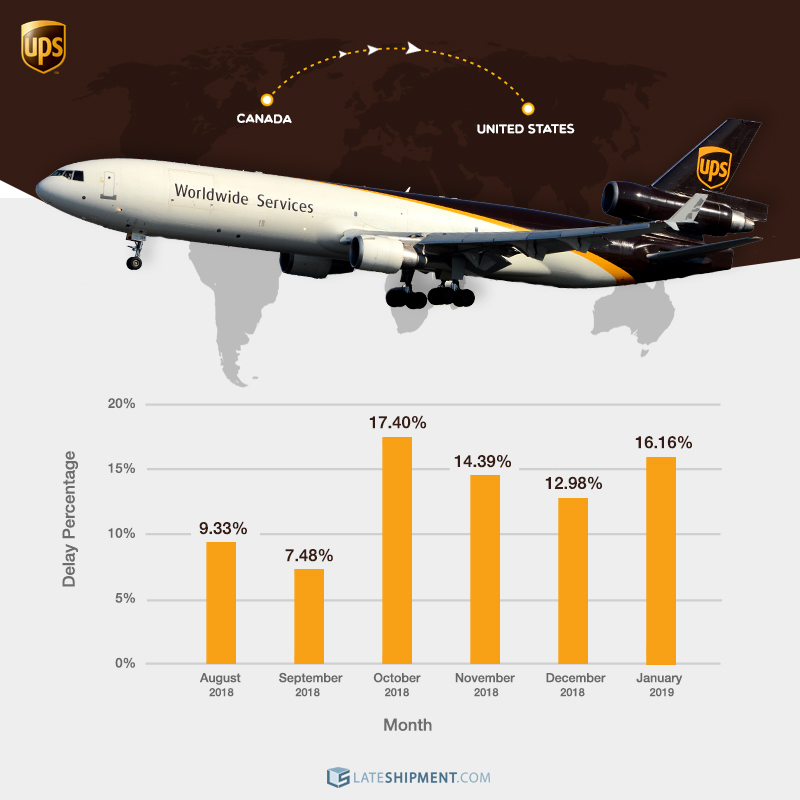 UPS, meanwhile, delivered a whopping 35.86% of our US customers shipments late in November. The rates for December and January were 25.63% and 28.76% respectively. Our delivery delay report from July to December of 2018 shows that these carriers don’t perform a great job at home either. Never take shipping carriers at their word! Now that you know how often shipping carriers perform below expectations, the next logical step is to recognize how this has been affecting your business. 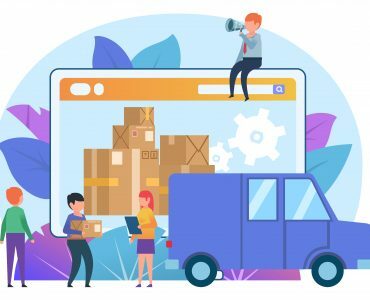 You’ve of course experienced the sting of shipping delays, but it makes sense to take a look at all the ways in which shipping delays are problematic to retailers like you. Every misstep of your carrier has been costing you heavily, maybe even more than you might have noticed. Not holding shipping carriers accountable for delivery efficiency means you receive comparatively inferior service from them. Late and inaccurate deliveries have a direct impact on your reputation, customer loyalty, and bottom line. 64% of customers say delivery experience is an important factor in picking merchants they shop with. 80% of customers won’t shop with a merchant following a negative delivery experience. 97% of retailers don’t have a mechanism to hold shipping carriers accountable for their performance. It’s obvious a customer who’s experienced a delay in receiving their parcel is less likely to buy from you again. You end up losing them, forever. A one-time refund from your carrier for deficient service cannot compensate for this. A lost customer is the ultimate tragedy for your business because you can no longer count on any repeat business or positive reviews from them. You end up losing out in a big way. Your brand’s value is eroded. And remember, even one prominent bad review on a social channel can turn away hundreds of potential buyers. Acts of God, of course, cannot be avoided. Sudden weather changes or natural calamities sometimes get in the way of shipments reaching on time. 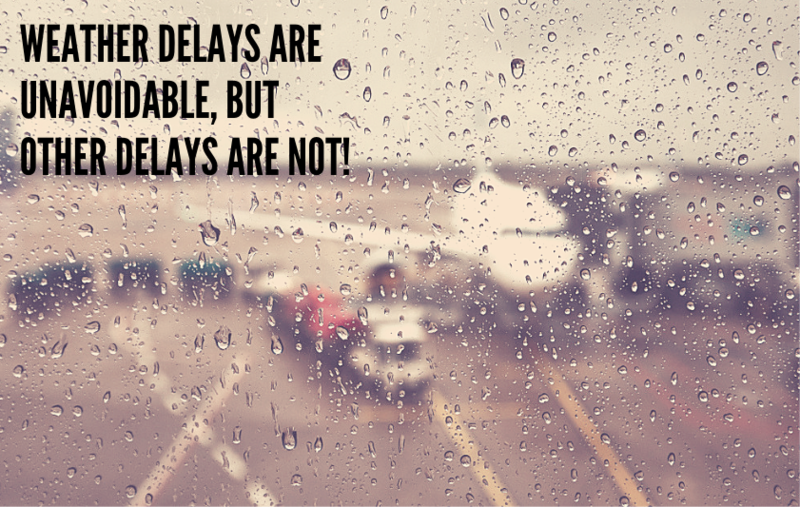 However, almost every other reason for a delay can be dealt with effectively if the right measures are taken. There are a whole lot of things you can do to deal with shipping delays or prevent them from happening. Firstly, it’s incredibly important that you communicate with your customer. The last thing a customer would want to see is that their parcel has been delayed, and there’s no communication from the shipper. Make the effort to get in touch with the customer and let them know of the status of the parcel. Apologize if you should. Explain the situation to them. 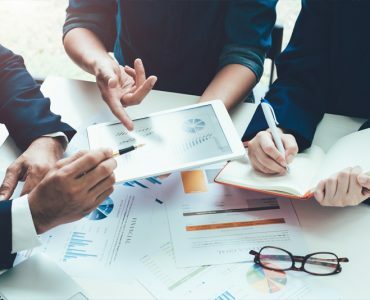 One especially effective way to ensure you get the time-bound service you deserve is by performing audits on the invoices of your shipping carrier. The fact is, most shipping carriers guarantee refunds if deliveries are delayed because of errors on their part. Some, like UPS and FedEx, promise refunds even if the delay is only a minute. But they make their claim forms hard to fill, and they provide a limited window of time within which claims must be filed. You need to have a system in place to audit your shipping carrier and get refunded every time they mess up. Conducting audits within your organization can be expensive and cumbersome. Thankfully, an automated service that is both effective and cost effective can make things easy. Here’s a killer tip for you. Sign up for a service that will help you track your shipments in real time. This will give you more control over the shipping process and allow you to respond to delays preemptively. When you notice a delay at any point during a shipment’s journey, you could take some form of action: either send a replacement parcel via a faster mode or inform the customer about the delay before they discover about it. Order management systems like Shopify provide only limited insights until a product is shipped and they don’t allow you to stay connected to your customers. This is their limitation. A service that tracks shipments in real time even during transit is what will actually make a meaningful difference to your shipping game. This is probably easier said than done, but make sure you own up and face the ire of the customer if it comes to that. There’s no way you can skirt the issue. Facing the situation and trying your best to tackle it will actually show you in good light and help make the most of a difficult situation. Act fast and be proactive. Contact the customer before they contact you. Make calls if you must. Email isn’t the best choice for when things must move fast. Keep giving updates as and when you have new information to share. The important thing is that you must be seen to be working for the customer to trust that you have their best intentions at heart. The customer will be calmer if they feel they have some degree of control over the situation. Provide them with options and allow them to make some decisions to help remedy the situation. You taking this course of action will show your business in a positive light and serve as proof of your customer-centric approach. Another effective step you can take is to send special deals the customer’s way. This will serve as a great step toward pacifying their angst and also make them feel valued. For instance, you could provide them 50% off on the total value of their next shipment. Or you could provide free shipping on their next two orders. Some businesses tend to over-promise. Delivering the same day an order is placed is becoming a fad of sorts within the retail community, but it comes with its risks. When a customer chooses the option to have their product delivered the same day, that is exactly what they expect. Any shipping delay will be met with fury. So, be careful when you make any promise to deliver on the same day an order is placed. An approach you could take is to provide the same day delivery option only to customers who wish to receive delivery within a certain distance of your warehouse. If shipping delays are a regular occurrence with your carrier, using multiple carriers for different delivery requirements may well be the way to go. This, of course, will require some research on your part to identify the expertise of each carrier. For instance, you could use one carrier for domestic parcels and another one for cross-border parcels. This could possibly save you a lot of stress. 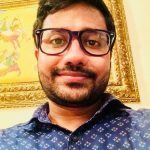 At LateShipment.com, we audit your shipping invoices to identify over 50 service failures and submit refund claims to your carrier on your behalf. Businesses that use our services save up to 20% on every shipment. That’s not all! 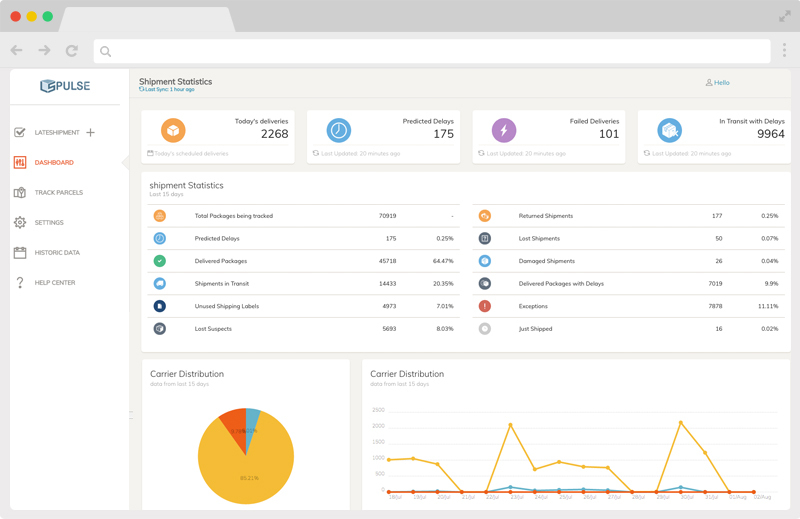 Use our service and get access to advanced analytics tools that will help you audit every shipment in real time and fix delivery errors even before they happen. With your account, you can rest easy in the confidence that you will be able to handle delays before they affect your customers. Signing up takes 2 minutes, and you have nothing to lose! Are you dissatisfied with the quality of service offered by your carrier? Fill in the form for a free consultation with our expert on how you could hold your carrier accountable.